The heart is always important during painting. It shall beat, you don't have to hold your breath. Feel the beat, paint your vibe. where is the rhino from?? i know is by allan carrasco but what comapny? 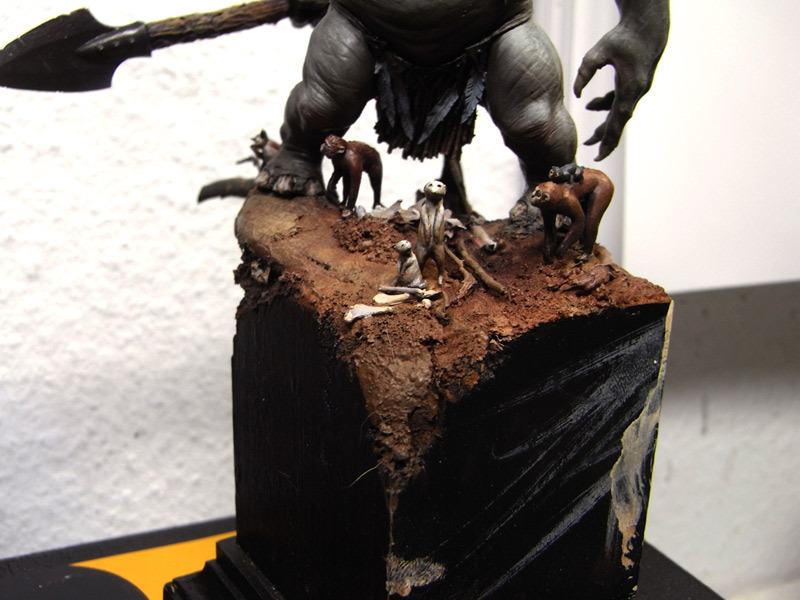 No Company at all, sculpted by Allan, sold by Allan - none left at the moment. Go to Allans homepage and write him an email that you are interested too in getting that sculpt, there maybe is a chance that there might be another cast. 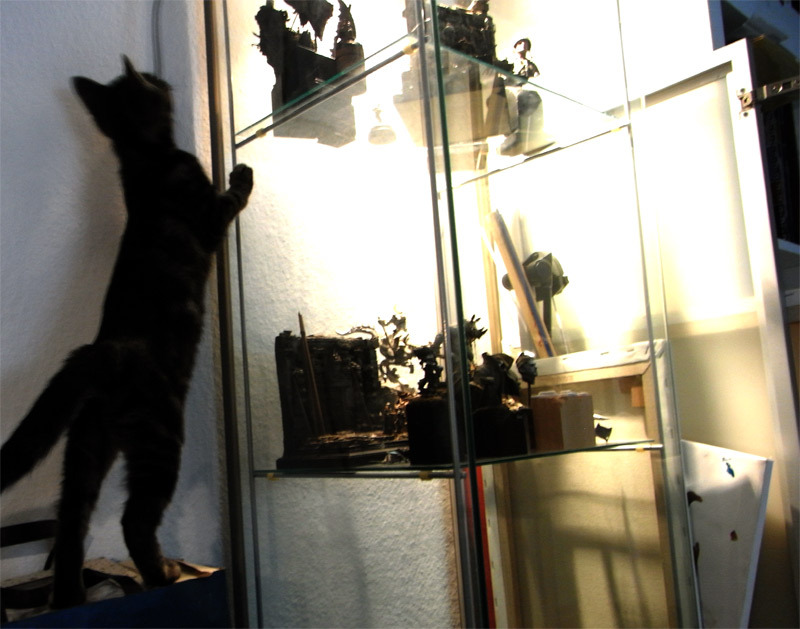 That cat is hungry for miniatures! Beware! Can you tell me, where these Goblins are from? Looking great so far, nice working place. 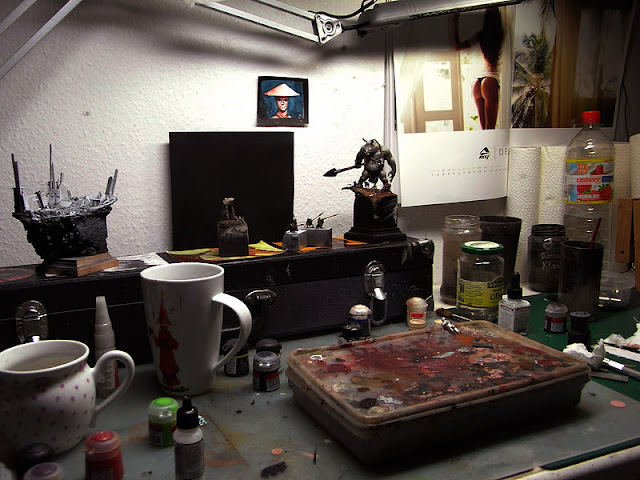 Such kind of over night painting jams sound totaly great. I try to establish something like that in Berlin. Hopefuly it will work as my best painting experiences I have when the whole house is sillent and especially when I am a little bit overtired. That is the best status when I don´t think too much how I could paint something. Instead I simply paint and see what happens. ALL MINIATURES, BEWARE OF CATZILLA! I like how all the little animals are gathered around that rhino, really love it. Protector of the little animals.